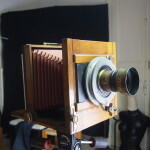 All equipment is available for students use, including our classic 19th century cameras and lenses up to 30cm x 40cm, full darkroom facilities are in-house and we have a mobile wet-plate darkroom for location work. 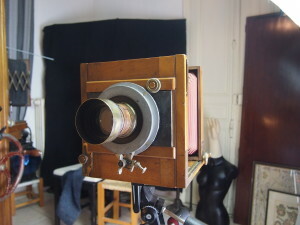 You can also use our modern studio cameras, even converted Polaroid cameras if you wish. It is easy to get to us, there are Low cost flights to Beziers airport (20 minutes and we can pick you up) which makes coming to the South of France cheaper than going to London from Manchester. You don’t have to come only for two days, you can come and stay at Villa Roquettee for as long as you like and the darkroom facilities are free to use for all guests – come earlier or stay longer. As a bonus, we are in the center of the largest wine producing area in the world and when the harvest is finished the wine festivals will be in full swing in many local villages. Based in the heart of Languedoc, in the South of France, we are close to some of the most beautiful areas in europe – the Languedoc National park is on our doorstep and the “Canal du Midi” is a World Heritage site. We offer a election of workshops to suit each students needs. For example, our beginners workshop is a two day residential workshop, the cost is €525 including full accommodation for two nights, meals, all tuition fees and materials – we take a maximum of six students for each course so personal attention is guaranteed. 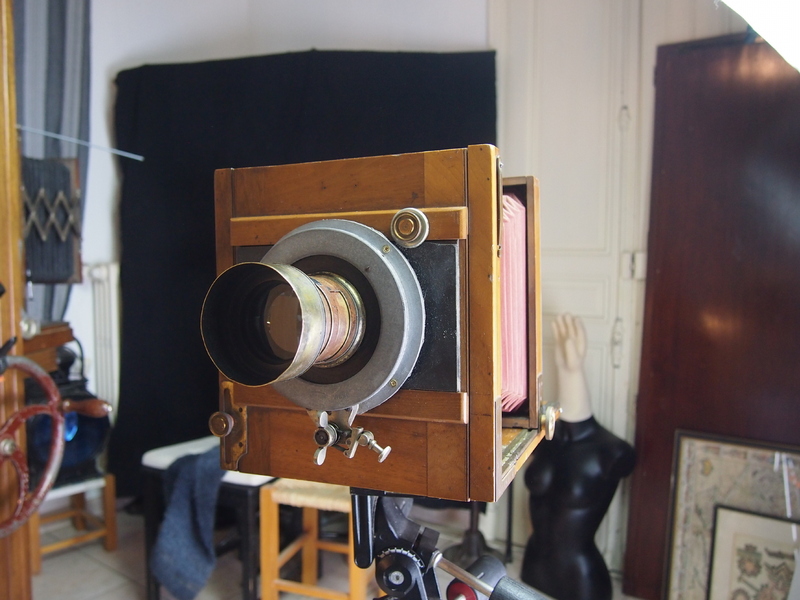 With our mobile darkroom you can make large plates and tintypes on location and visit towns established by the Ancient Greeks and Romans, the Mediterranean and the wild unspoilt countryside of Languedoc. Students can arrange to come days earlier and stay later (as long as they wish), if you stay longer or come earlier the charges are the standard for Villa Roquette plus students can make use of the darkroom, lab, studio and all facilities of Villa Roquette with no extra charges for these services. 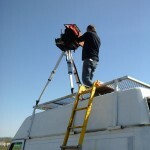 Cameras, lenses and a wide range of equipment is available.